It is possible to see magnificent fairy chimneys of nature and historical buildings belonging Roman and Ottoman periods together in the city which has hosted many civilizations and civilizations. Nevşehir, which is literally an open air museum, is a stop for explorers and enthusiasts to discover. The fairy chimneys of Turkey and perhaps even the most beautiful natural structures of the world; Nevşehir is an extraordinary city with its valleys with splendid natural beauties, its churches displaying religious and cultural buildings. If you are bored of classical holidays and monotonous travels, you should definitely add Nevşehir to your sightseeing list. You can also browse the city guides we have prepared for your accommodation, food and shopping options in Nevsehir and for questions about what you can do. Nevsehir, which is one of the most visited cities of Turkey, has a history of about five thousand years. The archaeological excavations suggest that the region is based on earlier historical periods, but the first records about Nevşehir belong to the Hittites period. Hittites, who were the first inhabitants of the region, gave Nevşehir the name "Nissa". The Hittites who used this city in the middle part of Anatolia as a transit point and trade area became dominant in the city Phrygians and Lydians. In 1150 B.C., when the Hittite Empire disintegrated, the city was ruled by Assyrians. Assyrians named the region as "Katputuka" known as Kapadokya in that time. This region was occupied by Persians in 7th century BC like the whole Anatolia. When it came to 3rd century BC, Alexander the Great, one of the greatest emperors of history, seized this region and incorporated it into the borders of the Macedonian Empire. Upon the death of Alexander and the disintegration of the empire, the city began to be ruled by the Roman Empire. In 395 AD, upon the division of the Roman Empire into two, Nevşehir was targeted by the Arab-Islamic rifts from the south and Persian-Sassanid from the east. With the 1071 Malazgirt Victory, Kutalmışoğlu Süleyman Shah, who conquered Anatolia, conquered this region and named it "Muşkara". The territories which were ruled by many states during the period of the Principality joined to the Ottoman Empire in the late 14th century. Muşkara, which is a settlement of about 10-12 houses, was renovated by Damat Ferit Pasha and named Nevşehir which means new city. The city, which was bound to Niğde in the Republican era, was separated from Nigde in 1954 and became a province. 5- Visiting the Nevşehir Museum and the Hacıbektaş Museum. Hittites, who were the first inhabitants of the region, gave Nevşehir the name "Nissa". The Hittites who used this city in the middle part of Anatolia as a transit point and trade area became dominant in the city Phrygians and Lydians. In 1150 B.C., when the Hittite Empire disintegrated, the city was ruled by Assyrians. Assyrians named the region as "Katputuka" known as Kapadokya in that time. At the same time, the city, which has important works in terms of the history of church architecture and religious art in the Eastern Roman period, is almost an open-air museum. Cappadocia and fairy chimneys in the Ürgüp-Göreme region are the most important places to be visited in the region. These structures, which are composed of volcanic movements and truffles, offer a fascinating view to visitors with its natural beauties. Göreme's unique geomorphological formation brings with it an aesthetic landscape and an incredible visuality. The fairy chimneys, formed as a result of erosion of the lavas, deriving from the volcanic mountain movements, with wind and flood waters are seen in Göreme, Ürgüp, Gülşehir, Açıksaray and Zelve regions. This region, which is almost unique in the world with its unique structure, is a place you should definitely visit. Kozaklı and Bayramhacılı thermal springs, which emerged as a result of the movements of volcanic mountains and fault motion in the region, constitute the other natural beauties of the region. Especially in winter, these places attract many visitors and they invite visitors into a wonderful atmosphere thanks to their water temperature and quality as well as their extensive landscaping activities. Fairy Chimneys: The fairy chimneys, that emerged with the erosion of truffs by the flood waters descending from the valley slopes and the wind, hosts hundreds of thousands of tourists every year. The fairy chimney spreads over a very large area, and when viewed from above with balloons, it feels simple and pure. Pink Valley: Located in the middle of Ürgüp and Avanos, the Pink Valley, which presents the most spectacular examples of the fairy chimneys, is a magnificent area where all the beauties of nature are presented together. The Pink Valley, where different and endemic flowers are combined and the splendor of fairy chimneys combined with the shades of green, is indispensable for the trips to Nevsehir. Picnic Areas: Other natural beauties in Nevsehir province are picnic areas. The promenade areas around Kızılırmak or around Kadırrah Creek offer splendid beauty with spring water and natural vegetation. Üzengi and Ihlara Valley: Finally, Üzengi Valley and Ihlara Valley which have a magnificent view and where all the splendor of nature with its vineyards, gardens, natural resources and vegetation are displayed and with its houses cut into the mountains and pigeon houses are the other wonders of the nature in Nevşehir. The paintings and art exhibitions held in the center of Nevşehir and in the Cappadocia region are activities organized to bring together both local people and foreign tourists. The "Art in Museum" exhibition in Cappadocia is among the most important of these activities. Also, Saruhan Exhibition and Culture Center where the pieces of Seljuks, Roman Periods and Ottoman were exhibited is a place that welcome visitors who love to see history and art together. One of the most important cultural events in the region is the art of making pottery. You can experience this handicraft and have a chance to make a difference to your visit in the harbor pot construction workshops located in many different places of Nevşehir. The Cappadocia Culture and Arts Center, which has been operating since 2006, is one of the centers that support cultural activities in the region with different activities, theater shows, cinematic nights, art exhibitions and cultural activities. Another place where the cultural heritage of the city is exhibited and protected is the Nevşehir Museum. There are two saloons in this museum, archeological and ethnographic, where part of Damat Ferit Pasha Kulliyesi is used. It is one of the places where you can see the cultural and historical details of the region together. Nevsehir, which is one of the most important cities in the touristic aspect of the Central Anatolia Region, is also the main landmark of the Turkish traditional songs such as "Güvercin Uçuvverdi", "Gül Koydum Gül Tasına" and "Nevşehir Dedikleri". You can enjoy a musical feast by attending a local concert in the city that reflects the passion of the drum-zurna, the bağlama and tambourine that has been around for centuries. In the city, which is an important center of soil casserole construction, food is also cooked in soil casserole and it becomes tastier. "Ağpakla" comes at the beginning of these dishes. The "Ağpakla" which is the dry bean cooked in the pot and contains boned meat, is one of the delicacies that you must absolutely taste when you are in the city. Again, the pasty (mantı) which is a special dish of the Central Anatolian cuisine, comes out as "Nevşehir Mantı" in the city cuisine. One of the most interesting tastes in Nevşehir is "apricot stuff". Food prepared by putting meat or minced meat into sweet apricot done in La Vita Cafe Pub and Han Restaurant is one of the important dishes in the region. Even if it sounds different to you, we recommend you to try this taste in its place. "Chickpea stew" cooked in a pot, "gendime" made from wheat and bone water, "milky soup" made by adding boiled goat milk, "pelte bulaması" made with baking flour and pekmez are other flavors specific to the region. The culture of drink has developed as well as the food culture in Nevşehir has developed. Nevşehir wines are among the most important tastes in the region. These wines produced from the grapes grown in the fertile lands of the volcanic mountains are aged in the cellars in the underground cities of Nevşehir and they reach an incredibly delicious taste. Shopping centers located in the city center and in the counties do not require a big city life. Nevşehir Forum Shopping Center is the biggest shopping center of the city. Nevşehir Bazaar and Nevşehir Grand Bazaar, where you can find local specialties, are waiting for those who want to shop in the city center. There are a lot of handcrafted products in the city. Especially products made from ceramic materials and soil are among the products that you should look while shopping. Vanessa Ceramics and Ottoman Art Gallery are places where you can find these products. You should also look at the types of carpets and rugs, which were also made with intense manual labor and which used to be one of the important means of living in the city. You can find many types of carpets and rugs in Alaturca Taner, Sultanhisar Halı and Galeri İkman. Another value of the region is the pots and crocks made from the soil. You can find these soil pots which are the symbol of the region in many places of the city and experience making those pots. There are places where you can shop in the districts and tourist areas as well as in the center of Nevşehir. Forum Cappadocia, Matis and Cappadocia Handicraft Center in the Cappadocia region are the places you need to see before leaving the city. Onix and Golden Yarn Carpets in Göreme are also among the centers where you can shop. The "Memorial Ceremony of Hacıbektaş Veli and Culture-Art Festival" held every year between August 16-18 combines local and foreign tourists. Interviews are an alternative for those who want to participate in theater and concert events and traditional events. The "International Ürgüp Vintage Festival", which has been held for 45 years and is now a traditional event, is also one of the activities that both local and foreign tourists are interested in. For those who are looking for more local events, the "Kaymakli Town Culture and Tourism Festival" where local games like "kaymak eating competition" are played and "Traditional Avanos Folk Festival" where many traditional and local events are organized. The "Cappadox", which is held in 2015 and is aimed to be a traditional event, is one of the most ambitious activities of the region with its international and local activities. Music events in historical and natural beauties such as Kızıl Vadi, Perili Ozanlar Valley and Üçhisar; Exhibitions held in Gomeda Valley, Üçhisar and Kızıl Valley; Nature walks in the most beautiful valleys and areas of the region; Yoga, bike tours and balloon tours are some of the key activities at the Cappadox event. 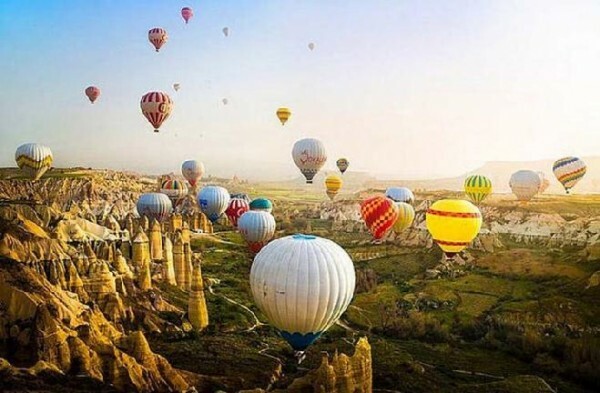 The "Balloon Festival", "Observation Festival", "Sports Festival and Music Activities" organized by the Governorship of Nevşehir and Cappadocia Cultural Association during different periods of summer months are among the activities that both foreign and local tourists can enjoy. Those who want to stay in the city center; "Dinler Hotels", "Hotel Bussines Yatt", "Peri Tower" and "Safir Hotel" are some of the options. "Hotel Seven Brothers", "Zumrut Hotel" and "Altinöz Hotel" are also among the other options in the city center. The "Nar Cave Houses" located in the center are places that can be preferred for those who want to stay in a historical and modern place in the cave. You can also spend a peaceful Nevşehir journey with family and friends in the center of the apartments and pensions. For those who want to stay in the Cappadocia region far away from the city center, there are accommodation options according to their budget and pleasure. "Cappadocia Hill Hotel & Spa", "Sultan Cave Suits" and "Mihtra Cave Hotel" are some of these options. Thanks to these accommodation options located in the most beautiful locations of the city, you can spend a pleasant night watching the splendor of Göreme and Cappadocia. "Crazy Horse Pension", "Kaya Pension" and "Eco Life Pension" are among the accommodation options that are both in the tourist area and at relatively affordable prices. Many hotels and pensions in the region have been built with cave houses inside, so you have the chance to stay in nature and have a spacious place. Besides, you can also visit the region by setting up tents in the allowed areas and you will witness to all the splendor of Nevşehir.